I really love this globe that serves as a lamp in the office of the deputy director of the NSS (National Security Service). It would be so cool to have one at home too. This is the house of MP Kim Soo-young. Look at those book shelves and is that a staircase? I love dramas that pay attention to the sets and some of them become iconic and profit-generating like the house in, well, FULL HOUSE. Nami Island is also a good example on why locations matter. In general, South Korea has been good at marrying pop culture and tourism, which brings me to my long angst that I wish Taiwan would have been more adept at it. Coming from the METEOR GARDEN generation, they could have taken advantage of it then and did MG Tours. There was just so much potential and there remains to be a lot of potential (and getting pop stars like F4 and Fahrenheit to promote Taiwan is not enough because that tends to cater to a specific fandom). With all the Taiwanese dramas that pervaded the consciousness of fans everywhere, there is indeed a huge potential… but they all remain just that: a potential. Whereas, South Korea, they’re good at marketing. End of rant. I need some YELLOW tea. Will that help make me sleep? I would also recommend the set decor for Protect the Boss and Secret Garden. In Protect the Boss the winner in the fascinating use of a building as a set category was the office of the 2 cousins, with its circular ‘secretarial pool.’ And certainly the house inhabited by Hyun Bin’s character was a stunner! The circular ‘library’ in the picture above put me in mind of that house, even though they don’t really look that much alike. It’s the sense of drama and style that call out to me. is PROTECT THE BOSS worth watching too? I’m looking for a fun drama right now. I love fluff and the drama fares available from Korea this season are kind of not to my taste… except ALL ABOUT MY ROMANCE, which does not work for me. I watched SECRET GARDEN out of curiosity over the hype, and I do remember that house! Aw man, twdrama + tour combinations would be amazing! I believe they had a tour for Wish To See You Again (not surprising, considering the drama was funded by Taiwan’s tourism bureau), but that was a few years ago… Perhaps it wasn’t as popular as they’d hoped. 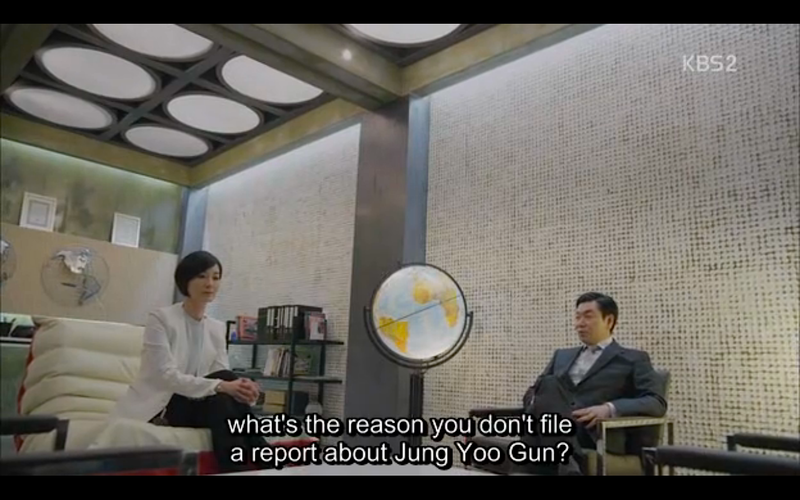 At least twdramas are good with selling merchandise, lol.